MONOVALENT TYPE 1 ORAL POLIOVIRUS VACCINES IN NEWBORNS. Change and challenge is in the wind as 2008 comes to an end. The same is true when examining this month’s ReachMD XM160 special series focus on global medicine. 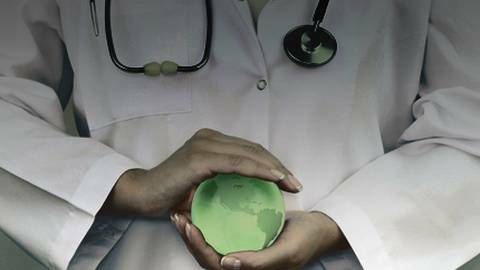 We take a look at both the changes and the challenges impacting global medicine. The World Health Organization is working diligently to eliminate type 1 poliovirus transmission in endemic countries around the world. Although, progress has been made using the trivalent oral poliovirus vaccine, eradication remains elusive. Recent studies examined the efficacy of a monovalent oral polio vaccine given to newborn. Could this monovalent vaccine bring us closer to eradicating poliomyelitis? You are listening to ReachMD, The Channel for Medical Professionals. Welcome to a special segment focused on global medicine. I am your host, Dr. Jennifer Shu practicing general pediatrician and author. Our guest is Dr. Roland Sutter, coordinator of the research and product development team for the Global Polio Eradication Initiative with the World Health Organization in Geneva, Switzerland and former chief of the polio eradication branch at the Centers for Disease Control and Prevention in Atlanta. Now the trivalent vaccine against polio has been used since the early 1960s, so why study the monovalent vaccine now? In fact, the first vaccine, first live vaccines were monovalent and were used also in the US and other countries in the 1960s and then the program switched to trivalent because it was just easier to administer, you didn’t need to have 3 vaccines and so for the past 40 years or so, they were kind of forgotten and the program now has identified the need for these monovalent again, particularly monovalent type 1 because they provide faster or stronger immunity against type 1, so we can protect children much faster with the monovalent vaccine than with the trivalent vaccine against type 1. So, is the monovalent type 1 vaccine stronger or different from the past ones in early 1960s? Yeah, absolutely I think, what we tried to do is started to increase the potency of these vaccines by about five fold over the vaccines that were used in the early 60s in the US and Europe and other places. Is it still necessary then to use type 2 and type 3 vaccines, but monovalent ones instead of the combination trivalent? We also have since developed monovalent type 3 and monovalent type 2, their licensed product out and used very, very extensively as well if there is a reason, if there is type 3 circulation for example, we do a mass campaign around this monovalent type 1 and then perhaps follow this around the monovalent type 3; type 2 polio has been eradicated from the world since 1999, so we don’t have to worry too much about type 2 at this point. Let's talk a little bit about the article that you are a coauthor of in the New England Journal of Medicine regarding some monovalent vaccine in Egypt, so why study it in Egypt? Well, I think background of this basis, really Egypt has made great progress in eliminating polio, but they had very, very few cases persistent, so less than 10 cases per year for a number of years and so the monovalent type 1 really when we first started with the development project really was targeted especially to Egypt because we hoped that with an immunity boost with additional power to induce immunity, we could get rid of polio in Egypt and in fact up there, we did 3 national rounds with monovalent type 1 in Egypt and after that polio disappeared from Egypt. And are you hoping that these findings will later translate to use in other countries? We have since done a number of studies in different countries and we are struck just as everybody is struck who knows the date on the trivalent vaccine that there is a great variability of performance of this vaccine in different settings, so they usually perform at least twice as well or up to 4 times as well as the trivalent vaccine against type 1 polio. Let's talk a little bit about how this study in particular was set up and what parameters are measured. Basically, as soon as we started with the development project we have committed to our development partners in this case, this product was produced by Snofi Pasteur in France and license by the French Regulatory Agency. We had committed that we would assist in doing clinical studies on this product particularly because we had only historical, clinical data from the 1960s of the much weaker products that were used then and that’s kind of the background; in Egypt particularly we were interested to see how this product would perform in Egypt. So, that either monovalent or trivalent vaccine was given at birth and then what happened at 30 days? In the next 30 days, we gave everybody what’s in the study a dose of monovalent type 1. Basically, what we were interested is to look at the performance of one dose of monovalent type 1 given to newborns within the first hour of the birth and then at 30 days, we gave another dose of monovalent type 1 to everybody because we wanted to see whether the previous dose of monovalent or the trivalent dose would lead to reduction of replication and excretion of virusin stool samples. We found that one dose of monovalent gave us more than 50% seroconversion to type 1 compared to about 30% with the trivalent to the type 1 and then the one-month those cases clear indication also that monovalent induced much higher what we called mucosal immunity in the gut, so fewer kids excreted virus. When you give the newborn dose shortly after birth, there’s a chance of some type of interaction with maternally derived antibodies against polio, how did you find that this affected your study? Particularly in countries that had polio until recently, mothers and adults and children get periodically infected and they have very high antibodies against polio and typically these high maternally derived antibodies in the newborn of course protect the newborn against getting polio, but also they make it more difficult for the vaccines actually to induce immunity. Here I think what we found in this study is that against the monovalent actually preexisting maternal antibodies did less decrease the seroconversion than it did to the trivalent to the type1, and trivalent, so again an added benefit of monovalent vaccine. Why do you think there might be a difference in that interaction? I think we are all a bit puzzled about that, that increase, just need to see in future studies whether this is holding up or not. Are there any thoughts to giving the vaccine at a later age and older age when those maternal antibodies have disappeared? Basically what we wanted to do is to make it very difficult put a vaccine to work, I mean to give it to newborn because of maternal antibodies is the worse case situation, so if we found a big difference in newborns between the performance of monovalent and trivalent, then I think we are confident that in later age the difference would be even much bigger and indeed the studies we did in other places, which have not been published yet do seem too supportive. So what kind of immunization series for polio vaccine might you envision for the monovalent type 1 if this works out to be an improvement? It has been used very massively since then, but basically what our advisory committee is always told is that we use monovalents only in campaigns, supplemental campaigns. We use the trivalent for routine immunizations so that does not change, but you know in some of these areas where we still have polio; you have one campaign about every 1 to 2 months. So very, very often these could get supplemental doses of vaccine, a lot of them are monovalent, some are trivalent as well because we don’t want to create an immunity GAP 8:41 gut to type 2 and some of the rounds are now monovalent type 3 as well. And one of the factors that you studied was socioeconomic status of the family and particularly of the mother, how did that effect seroconversion rates in the study? This is also kind of surprising, I guess, you know socioeconomic do effect seroconversion as well and again we can't really explain this well. In the past, I think people assumed if you have a newborn and he is low at socioeconomic state as the newborn or the infant gets exposed frequently to bacterial viruses that cause diarrhea and that may interfere with take, but an obvious study that could be not be the explanation because these kids were vaccinated very, very close to birth and we would not expect that any of those actually got the <_____> infected or even if they had been infected, it would have made any difference. Did you find any differences in adverse reactions when you compare the monovalent and trivalent vaccines? No these are very, very safe vaccines; that is another reason to do it in newborns because these newborns have high levels of maternal antibodies. The oral poliovirus vaccines very, very rarely can cause what is called vaccine-associated polio, which is polio that is indistinguishable from polio caused by wild virus, so out of one million vaccinated or something like that this may happen, but because these kids have all high maternal antibodies, so the risk would be virtually zero in this population and so in terms of other side effects, you know I am not aware I mean we have one very serious side effect, which in this age group is not really a problem, but minor adverse events, we really did not observe yet, though I think there were a couple of kids vomiting after a dose, but I would not attribute that to the vaccine itself. You mentioned that Egypt is very close to eliminating poliovirus transmission. At what point do you see the oral poliovirus vaccine being stopped and switching to the inactivated version? Egypt actually, they stopped in 2005, so the last viruses were in 2005 and the dimension after 3 national rounds with monovalent type 1, the same vaccine that we had included in our trial they were not able to detect anymore poliovirus, the viruses that were from Egypt, I mean indigenous viruses; in terms of switching to IPV I mean that’s another big project or a plate of work that we are involved with and basically the tasks that we were given is to develop IPV that would be affordable for developing countries and safe to produce those in developing countries and so we have multiple lines of investigations, so we can actually make this product affordable and that goes from schedule changes, fewer doses, we look at fractionaldoses, one fifth of a dose. We use immunoadjuvants to make it more immunogenic and so on there is a whole program of work that tries to develop these vaccines and hopefully at the end of this development process, we will have a product that will be affordable for developing countries. I would like to thank our guest, Dr. Rolland Sutter. We have been discussing monovalent type 1 oral poliovirus vaccines in newborns. I am Dr. Jennifer Shu. You are still listening to a special segment focused on global medicine on ReachMD, the Channel for Medical Professionals. Please visit our website at www.reachmd.com, which features on-demand pod cast of our entire library. Thank you for listening. 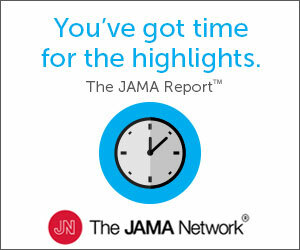 Thank you for listening to our special series Focus on Global Medicine. As we celebrate this annual holiday season everyone at ReachMD wishes you and your family a happy holiday and a successful new year. Free CME on ReachMD is now easier. Link to ReachMD’s free custom application for your I-phone at www.reachmd.com. The World Health Organization (WHO) is working diligently to eliminate Type 1 poliovirus transmission in endemic countries around the world. Although progress has been made using the trivalent oral poliovirus vaccine, eradication remains elusive. Recent studies have examined the efficacy of a monovalent oral poliovirus vaccine given to newborns: could this monovalent vaccine bring us closer to eradicating poliomyelitis? Dr. Jennifer Shu welcomes Dr. Roland Sutter, coordinator of the research and product development team for the WHO's Global Polio Eradication Initiative, to detail his team's contributions to the evolving body of polio research.